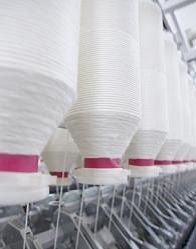 TERPSICHORE has created an electronic commerce network connecting users, manufacturers and suppliers in the textile production chain. This provides a quick response system by interconnecting each company information system, data base, planning tool and supervision system, with sales employees, procurement offices of customers and sales offices. The project has not only delivered substantial benefits in term of costs and time reduction to the users, but has also demonstrated merging new communication technologies with traditional information and management systems while integrating establish and emerging standards. The TERPSICHORE project has re-engineered the whole business process by developing and implementing new e-commerce technology to create an internet-linked 'virtual factory' in which the separate industrial partners form part of an integrated supply network. Information is passed between corporate systems by secure mobile agents, transferring order and stock details automatically along the whole supply chain.